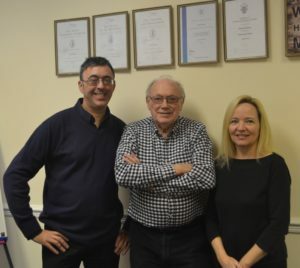 Brian Porter, who founded the company, initially from his home at Rode Heath, is confident that the firm, now based at Quantum House in Leek Road, Stoke, will continue to grow over the coming years. BPA Safety is now run by Directors Darren Bedson and Vicky Milward, who is Brian’s daughter and the BPA Finance and HR Director. The company has gown and now have a number of directly employed trained and experienced advisors led by Darren – a Chartered Fellow of IOSH (the Institution of Occupational Safety and Health). “I began BPA whilst a technical consultant in the System Building sector advising clients of the advantages of off-site methods of manufacturing and constructing pre-engineered buildings. We have retained a number of the clients we worked closely with all those years ago which has helped our business to grow from there” said Brian. “We have continued to grow the number of our retained clients and developed our expertise on good safety practices across a wide business spectrum. At the same time, modular off-site manufactured building methods have become ever more relevant to help cater for housing, institutional and healthcare/care home accommodation needs. “Catherine, my wife, and Vicky joined me as secretary and finance director and company secretary respectively in 1989 and a few years later Darren was recruited as a Health and Safety Specialist who has since developed with the business and was rewarded with a well-deserved directorship. At that time the business was based in various office sizes in the Business Innovation Centre at Lymedale, Newcastle, and then we moved to our present offices in Stoke. BPA has clients across the UK, from household names of major concerns to small family businesses. Near to home, BPA work closely with several local businesses covering the care industry, education, healthcare, general industry and especially the local pottery industry. Brian has now ‘almost’ retired, as he nears 80, but remains a major shareholder with his wife Catherine and still makes himself available to work on various projects when needed. To find out more about BPA, please go online to www.bpa-services.com.